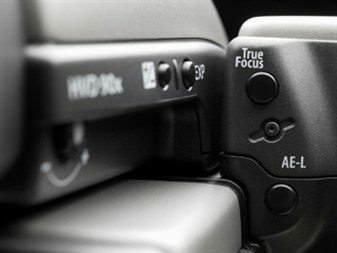 The H4D-40 with its breakthrough True Focus technology is selected as Best Medium Format D-System Camera by prestigious international TIPA committee. For the second consecutive year, the Technical Image Press Association (TIPA) has selected a Hasselblad camera as Best Medium Format D-System. The new 40 megapixel H4D-40 and its groundbreaking True Focus with APL (Absolute Position Lock) was chosen for this esteemed award by editors of more than two dozen of the most well-respected photography magazines from around the world. Selection for the award was based on innovation, the use of leading-edge technology, design and ergonomics, ease-of-use as well as price/performance ratio. The H4D family was introduced in September 2009 in Orlando, at Cape Canaveral on the occasion of the 40th anniversary of the moon landing and the Hasselblad camera’s first trip to outer space. This year’s selection of the H4D-40 marks the fourth time that Hasselblad has received the TIPA award for Best Medium Format D-System. Initially founded in 1991 as a consortium of European editors and magazines, TIPA expanded its membership to non-European countries in 2009, creating a truly global association. Rigorous judging standards and the technical expertise of its members are combined to select the best photo and imaging products each year.